More than just a restaurant, Drunken Fish has quickly become one of Kansas City's favorite places to see and be seen. 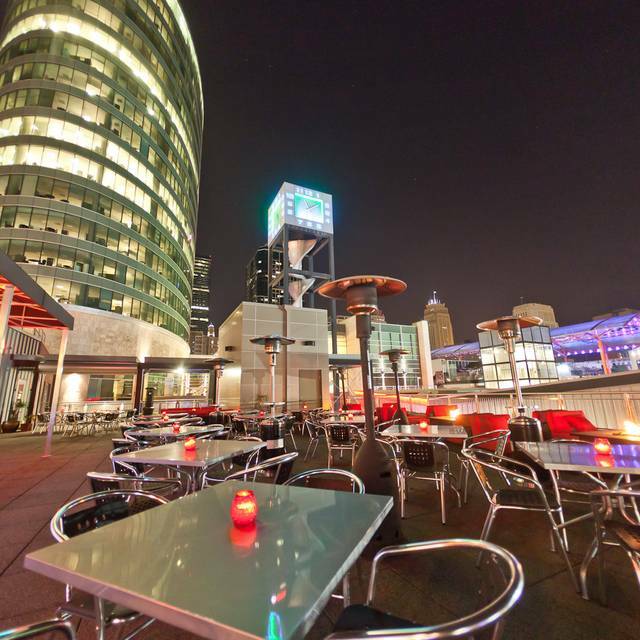 Thoughtfully designed, Drunken Fish boasts a trendy and sophisticated decor, including a one-of-a-kind rooftop patio with a full bar, fire pits, and gorgeous lounge furniture. Drunken Fish won "Best New Restaurant" in KC Magazine in 2011. 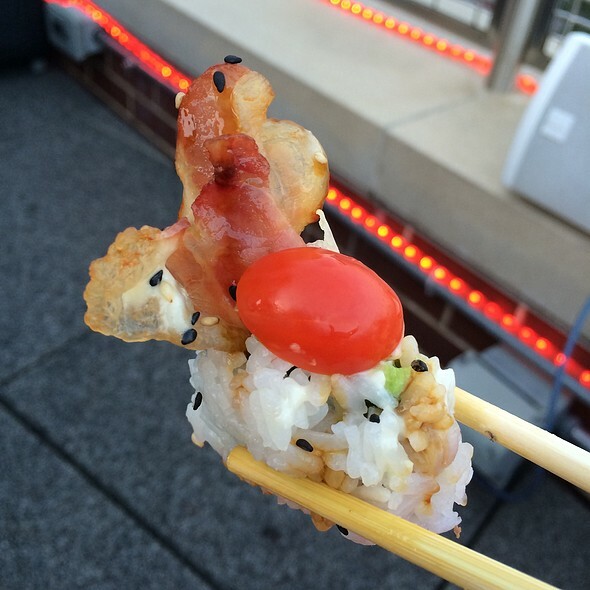 Where it was founded, Drunken Fish was voted Best Sushi in St. Louis. 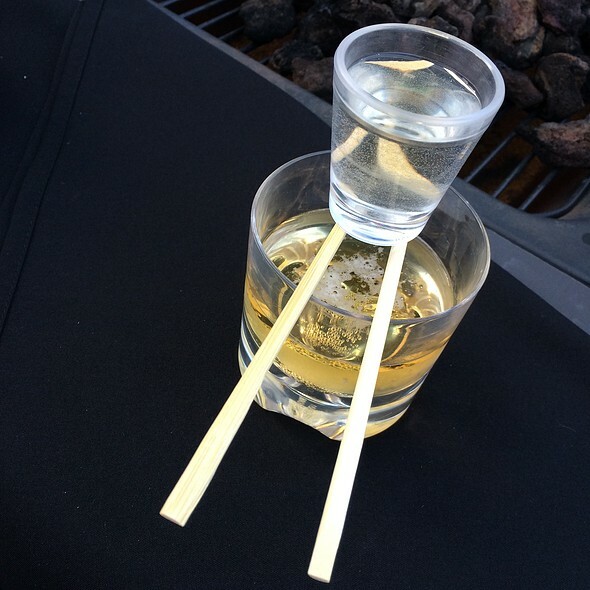 The selection of sensational sushi and Japanese cuisine will satisfy every appetite, while their drink menu boasts a list of unique cocktails. 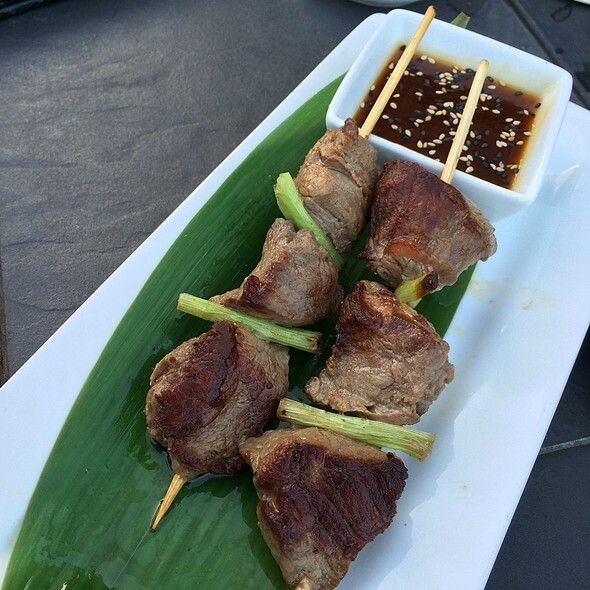 With incredible ambiance and exceptional service, Drunken Fish is the ultimate Kansas City hotspot. 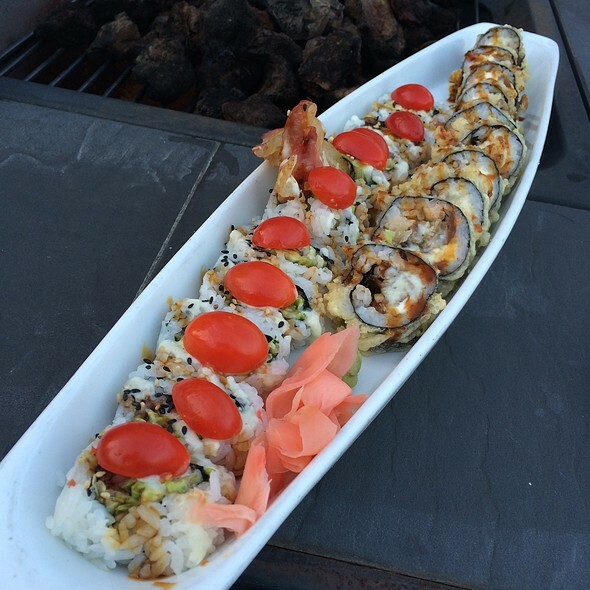 For groups from two to two hundred, Drunken Fish offers an experience you and your guests will not soon forget. In addition to table and booth seating, each location offers private dining areas ideal for after-work outings or an evening on the town. Schlafly Pale Ale 12 oz. blue curacao, coconut rum, melon liqueur and a splash of orange juice. vodka, blue curacao, melon liqueur, amaretto, pineapple juice and a splash of sour. rum, vodka, melon liqueur, amaretto and cranberry juice. gekkeikan sake, vodka, lime juice, triple sec and a splash of cranberry juice. aromas of ripe strawberries, raspberries and the perfect amount of sweetness. cassis, cherry, and olive with a bouquet of chocolate, vanilla, and clove. gekkeikan house sake, served hot or cold. chilled flavors available. aromas of melon, peach and apple with a lovely floral touch. deep blackberry flavors and soft, smooth finish. a combo of our miso soup (soybean broth with tofu, seaweed + scallions) and house salad with home-made ginger dressing. zesty, smooth blend of edamame soy beans. panko-breaded spicy tuna balls, served with honey-wasabi dipping sauce. spring roll stuffed with chicken, cream cheese, jalapeños + spinach. crab + asparagus, topped with spicy tuna mix, spicy mayo, tempura crumbs + masago. shrimp tempura, crab, cream cheese + asparagus, topped with avocado, eel sauce + masago. shrimp tempura, japanese mayo + asparagus, topped with tuna, japanese mayo, eel sauce, masago, tempura crumbs + sprouts. crab, spicy sauce + asparagus, topped with butterfield shrimp, scallions, masago + spicy sesame oil. 2 pieces of salmon over sushi rice. 2 pieces of tuna over sushi rice. 2 pieces of red snapper fish over sushi rice. 2 pieces of white tuna over sushi rice. crab, cucumber, + avocado, topped with masago + sesame seeds. fresh salmon, masago, spicy mayo, scallions + tempura crumbs, topped with sesame seeds. tempura-fried shrimp, asparagus, japanese mayo + masago. avocado, cucumber, pickled radish, asparagus, + sprouts. The only issue we had was the waiter forgetting to put an order in for our appetizer which ended up coming AFTER our main course. No apologies. He told us our appetizer ended up at the wrong table. I wish I could actually review. We were given menus and a drink list and never saw a server again. 20 minutes later I mentioned it to the hostess. 5 more minutes, nobody. We left. Very good. Does have an interesting smell. Terrible service, Very expensive lack of taste for the food.. Happy Hour menu was great! Good experience. Top notch. Great food. Great atmosphere. We were seated next to a table of 12 that made it hard to converse. Seemed like other available tables for 3 would have been better. Our waitress was pleasant enough but took a very long time to take our order. Food was good, but no better than a small place near me that is less expensive. Their website advertised Happy Hour Specials and there was even a sign on the table we were sitting at that said Happy Hour specials, but when we went to order they said that since there was an event in town, they don't do Happy Hour. That needs to be made known on their website and maybe take the signs off the table too. The food was just ok, nothing I couldn't get anywhere else. Menu is Super expensive! Service was good. I might go back during Happy Hour when prices are more reasonable. Server focused more on the big table coming than us. Our waitress was horrible she told us she could not communicate with the kitchen staff because they. I do appreciate the 2 managers that came to our table and apologize for that waitress. Food was really tasty, we were seated right away at our reservation time and the service was great. Great service, great food, great time! I think that the food quality is very good, but I do not think it is priced at the value. It is overly priced for the quality of sushi provided and cut, mainly in reference to the nigiri and sashimi. The rolls were amazing and the drinks were great as well. The Jasmine Green Tea was some of the BEST that I have every had. 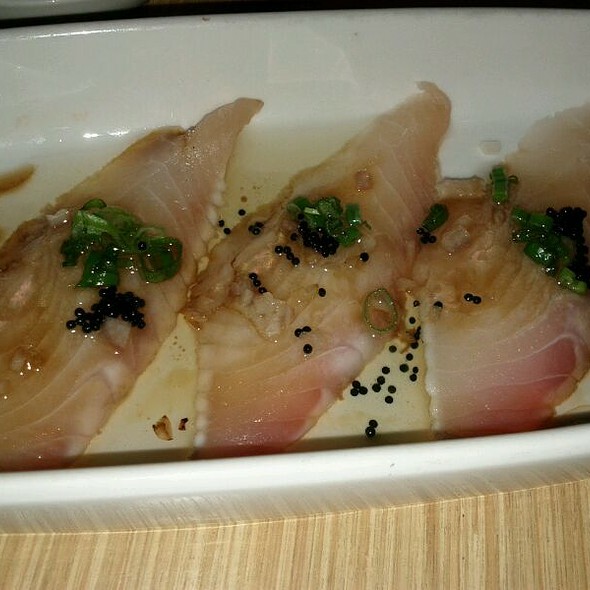 Our first visit to Drunken Fish was anything but memorable- average at best. Most recent visit was top flight. Excellent rolls and unbelievable Lobster Egg Roll. Very good and will definitely return. Took the younger siblings for a night out! Our server, Larry, was absolutely fabulous!! The food was great, but the service was above and beyond! We had a wonderful experience. We brought our children with us and everything came out quickly and was wonderful! Our server was great! We never had empty glasses or had to ask for a refill, he was quick to notice if our glasses were half full and quickly brought a new one or refilled our ice tea. It was a wonderful evening with yummy food. The host allowed us to be seated for Happy Hour at the bar, even though we were early for our reservations. Happy Hour was so great, that we opted to stay in the bar area. The bartender was wonderful. The food and drinks were perfect! Delicious. Every item. Food. Drinks. 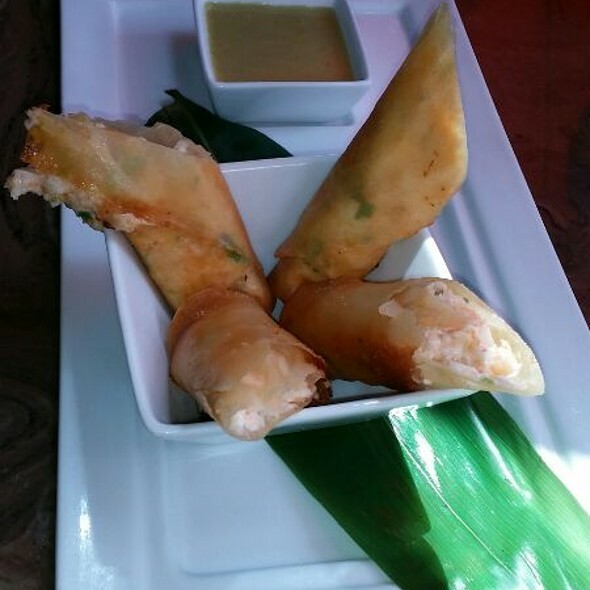 Lobster Spring Rolls! Great experience. We will definitely be back. Did not enjoy the alcoholic drink we ordered and the person who made the drink lack customer service skills. Our server KP was awesome. Food tasted great. Music was very complimentary for our dining experience. My friends and I come here often and recently visited to celebrate several birthdays at once. Our service was great and prompt. The food was great and we will definitely be visiting again. This was my first time and I was so disappointed. Our server was overwhelmed but so slow and entered the drinks and food incorrectly. I ordered the Teriyaki chicken and couldn’t believe all i got was a slab of chicken with teriyaki sauce and a scoop of rice. Seriously awful. It was a great place to eat. The noise level was not bad, food was great, our waitress was very accommodating and helpful. 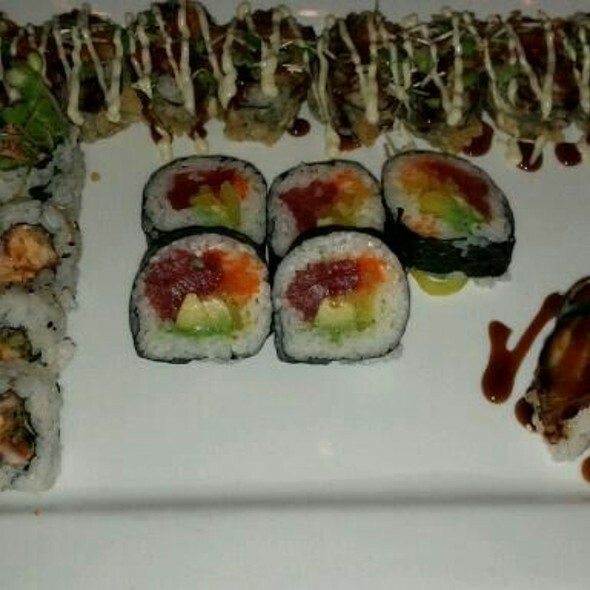 Service was outstanding and sushi was top-notch. The whole experience was worth the price we paid. Very upbeat with a Asian flare. Nothing quite like it in KC. Delicious food, quick service, and welcoming atmosphere. I’ll be back. Food was fresh and good. They didn’t have any glasses for our beer and no serving spoons for a shared dish. Overall nice light dinner before a concert. Not bad, but not anything special. Arrived early so we could have an appetizer, these are typically offered at reduced rate, however because there was an event at sprint center no reduced price. Bar tender was good. Love going to Drunken Fish. Reservation before a concert (Elton John) and we unfortunately were late for our reservation due to traffic and construction issues. Staff was very workable with us and even though we did not sit down until 6:50 pm the server was able to get us served in plenty of time to make the concert that started promptly at 8pm. Drunken Fish is my favorite spot before a concert! We've been there twice now. Won't be back. The first time we are not really impressed, but wanted to give them another chance. So, we went the night of the Elton John concert. Totally regret that choice now. The calamari appetizer was great. All of the other food was just so-so. We had the salad, miso soup, tempura shrimp and chicken teriyaki. Our server was terrible. Seemed okay at the beginning. Quickly took our drink order and delivered that. Took our food order, did not know the answer to several questions about the menu (like can we get two dipping sauces for the calamari or only one). Then we pretty much never saw him again. The manager brought our appetizer. The server finally brought our dinners without ever delivering the salad or soup (and never checking to see if we got them in about a 30 minute wait time). When questioned, he blamed it on the server assistants. We saw the other servers delivering the soup and salad so not sure why he couldn't. When he delivered the soup and salad after delivering our meal, my wife asked for a refill of her iced tea ( she had been out for about 35 minutes at that point). He never brought one. 15 minutes later she flagged down the manager, explained the issue and he had one there immediately. Server never checked to see if food was okay or if we needed anything. Finally came to the table behind us so we asked for our check. By this point he knew we were not happy, but simply laid the bill on the table and left even after I said to hold on while I checked the bill with my credit card in my hand (by this point he had taken so long we were worried about getting to the concert on time). I got up to run to the bathroom and handed it to him as I walked by. He returned it to my wife at the table with out so much as a good night, I'm sorry service was slow, can I get you anything else or anything. He did not ruin our evening, but it was very frustrating and NOT the nice dinner experience we had hoped for. The food is delicious and the workers are professional. 45 minutes for an appetizer (spring roll). 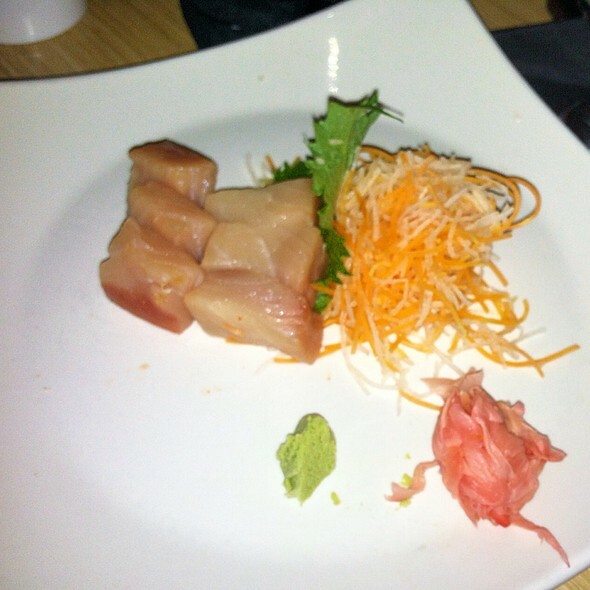 Even when I ordered it 20 minutes before the sushi, as an appetizer, it came out at the same time as the sushi. Sushi was warm?? and rice was undercooked (stale/hard). I really like the way the space looks and that it's near P&L. I asked to talk to a manager and was never brought one. 2/5 overall. It was a great experience! I had been there before a few years ago, and it’s still just as good! Would highly recommend this restaurant for anyone!